Learning Through Horses results in real-time learning that translates back to the job. This workshop focuses on individual Change Styles (CQ). It provides a framework for understanding the valuable ingredients for Change, Planning, People Impact and Process. 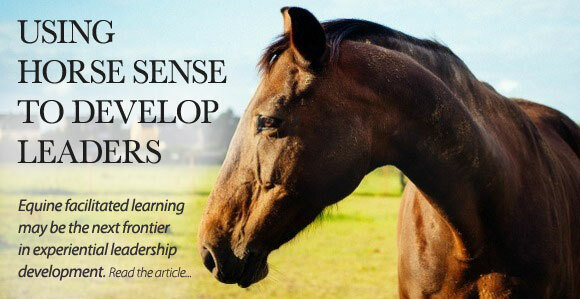 This case study provides insights that one team gained using the reflections of horses to help them be more effective as individuals and change leaders. I found that it taught me a lot about myself and relationships in general. Through watching and learning the subtleties of the horse's body language, it communicates a lot about how to establish a bonding, collaborative relationship. You establish a leadership position where the horse wants to follow and to be with you. 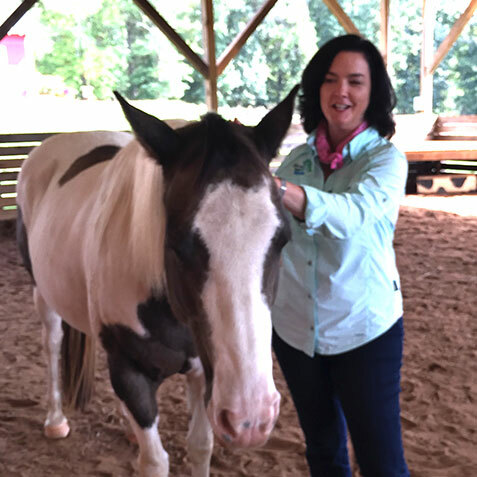 I developed my equine workshops to allow leaders to also experience this wonderful balance of leadership confidence yet gentle relationship skills. It truly is powerful to experience this and see how it can be transferred back to the workplace. These workshops focus on many leadership skills including refining relational skills, trust, confidence and collaboration. Putting these altogether, it is a powerful team building opportunity as well. This video about relationships with horses and riders will help you see the beauty of this experience. 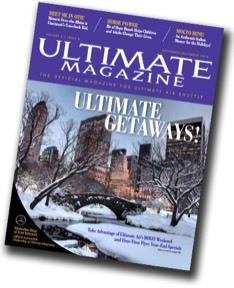 Click to read about Gerri Steadman and the Learning Through Horses program in the latest issue of ULTIMATE MAGAZINE! 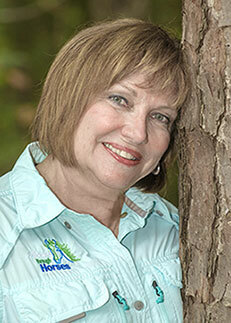 Barbara Trautlein, PhD, author of Change Intelligence joins Gerri in the Learning Through Horses Class on October 8. 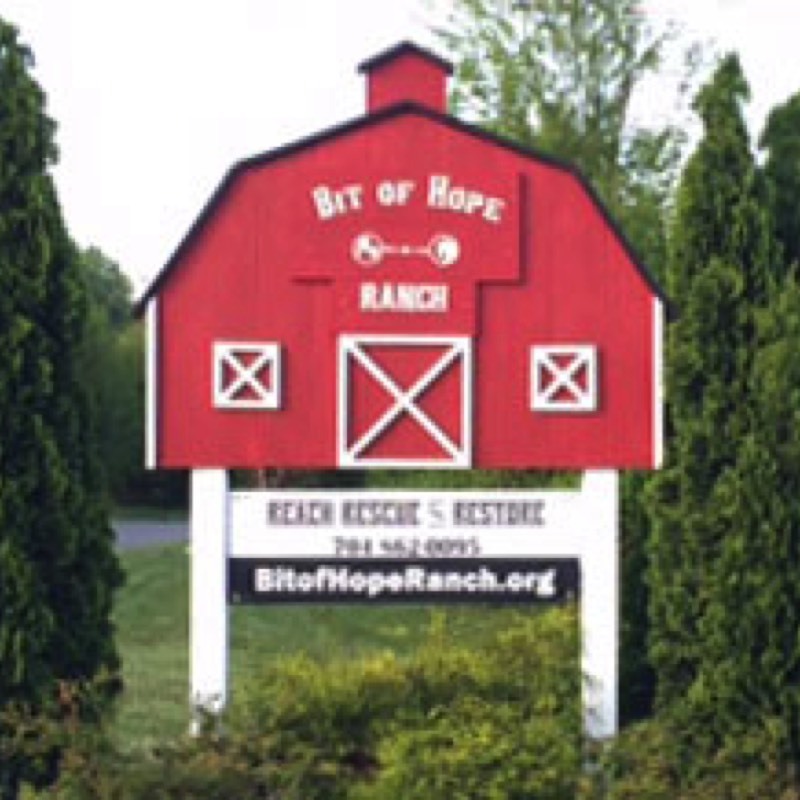 Workshops are held at the Bit of Hope Ranch in Gastonia, NC. This program for C-Suite leaders focuses on learning to improve executive presence. 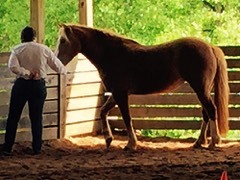 This unique interactive horse experience will allow individuals to reflect on how others respond to you and your leadership presence and offer insight into your style in building relationships and trust. It will illuminate how “self-talk” works for or against your leadership effectiveness. Ultimately the leader will have a renewed focus and confidence, understanding their personal impact as an executive. • Gain insight about their own executive presence. • Define key characteristics of leadership mindfulness, trust and authenticity. • Learn techniques to “ground” their leadership approach. • Practice and receive peer/coach feedback. 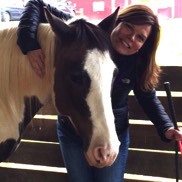 As an avid horse rider and owner, I have long understood how much I have had to change my own communication methods in order to effectively partner with my horse. It is a feeling of pure joy when riding my brown and white paint horse, Julie, when I take lead and we are in sync in our communication. The ability to be a confident leader, while allowing her the flexibility to safely partner with me in our ride together is like a magical dance. Riding a horse is a similar experience to an effective team. The team is focused on the same course and know each other’s strengths and roles. Through experience together, there is a high degree of trust…it’s pure harmony of shared leadership. As keenly aware prey animals who have survived over centuries because of their great sensitivity to their environment and their ability to flee from dangerous situations, horses can provide leaders immediate, unfiltered feedback. Horses are social, they have distinct roles and direction which accounts for their survival over the years. Observation of the horse’s commitment to their herd and their interactions is a powerful metaphor about which a leader may learn. 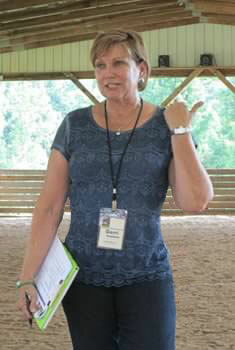 Equine Assisted Coaching is an experiential process that provides leaders and teams direct interactions with horses. While this is on the ground versus on horseback, this experience allows horses to provide impactful, immediate feedback to individuals interacting with them. As a coach, each individual is afforded the opportunity to learn from their experience through inquiry and debriefing. Sessions may be one-on-one or in a group where they also learn from one-another. It is amazing to see the impact that horses can have on individuals and the learning they take away from sessions. 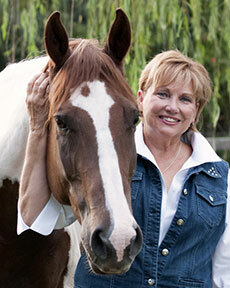 Equine Assisted Learning programs are designed for specific teams or individuals in achieving desired goals. 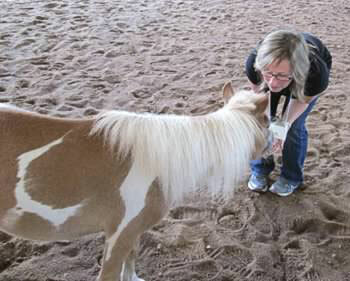 These leadership sessions are conducted at a local stable, with horses, trusted to interact with people. Gain a renewed understanding and a stronger confidence of themselves. Learn tools that are applicable back at the workplace to maximize transfer of learning. This workshop will provide you self- awareness about your personal style including your strengths and blind spots. The DISC and ChangeQ assessments will be used to provide you some self-insights. Understanding these assessments allow you to interact more effectively with others and your work team. Horses are incredible animals who over years survival have developed a keen instinct to very quickly assess situations. The horses will become your teaching partners and provide you with some important insights about your style. 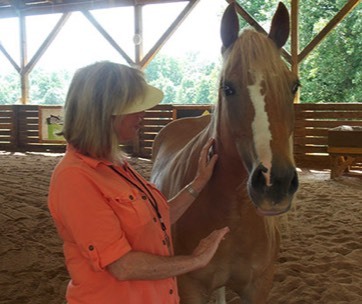 Through some special interactions with horses you will receive valuable feedback and experience directly related to how you handle relationships in transitional situations. • Learn your personal behavioral and change styles using assessments to identify your strengths and blind spots. • Identify keys to change, planning, relationships, and process. • Become a better transition team player understanding what strengths you bring and to recognize the value of others.